'Mrs. Nevada' Mrs. Lillian Arbonies. 38: Standing in back are husbands, Thomas Winders, R.A. Tate and J. Holgrem. 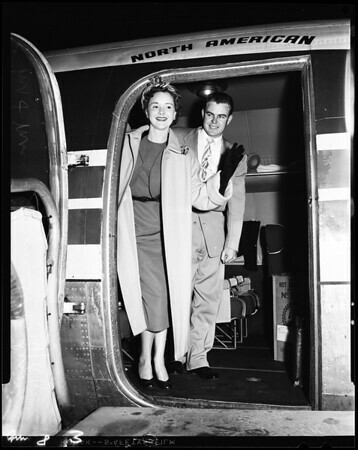 42/41/84: Mr. and Mrs. Thomas Winders preparing to leave on plane".